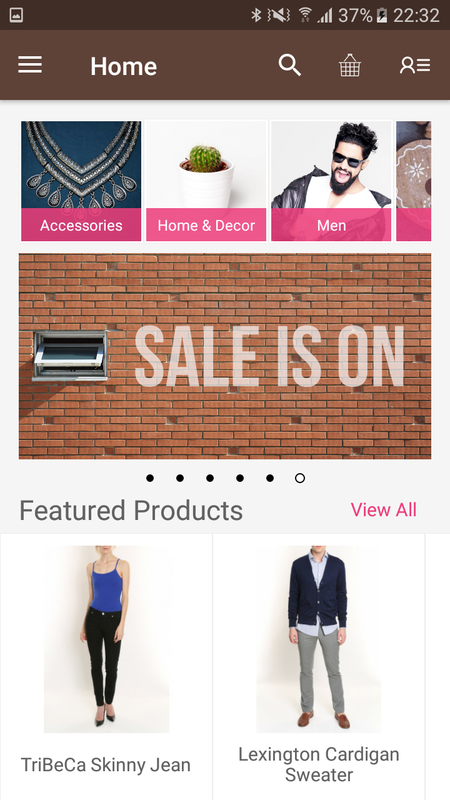 Magento Mobikul Marketplace converts your Marketplace store into the native mobile app. 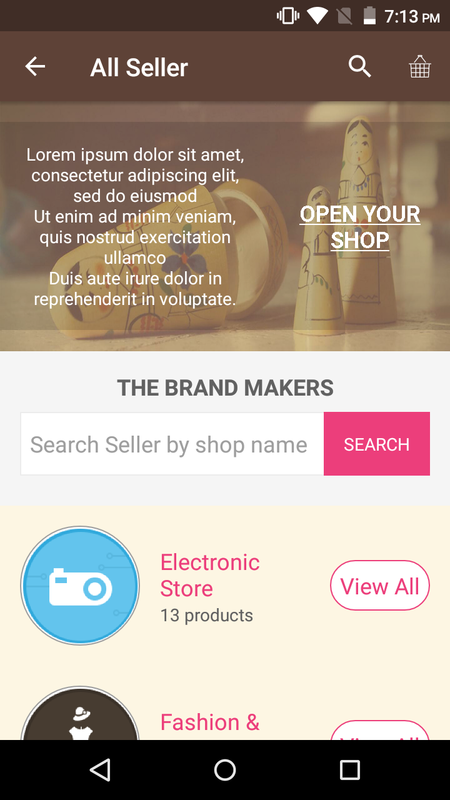 The data on the Marketplace store is synchronized with this application and thus customers can easily purchase products on the go and don’t need to have a laptop or desktop, they can easily explore your store through their smartphones. It will not only benefit the store owner and customer, it will benefit the sellers too. 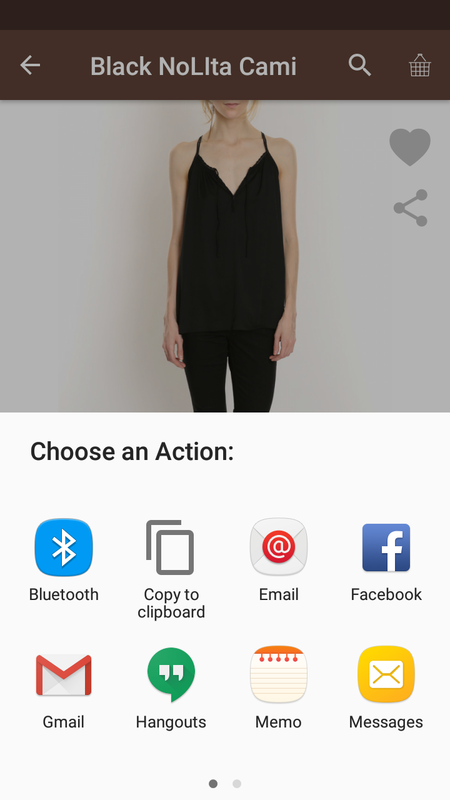 Sellers will be able to see their Dashboard, Manage Orders and much more. So what are you waiting for, you must now have a Magento Mobikul Marketplace to be a step ahead. 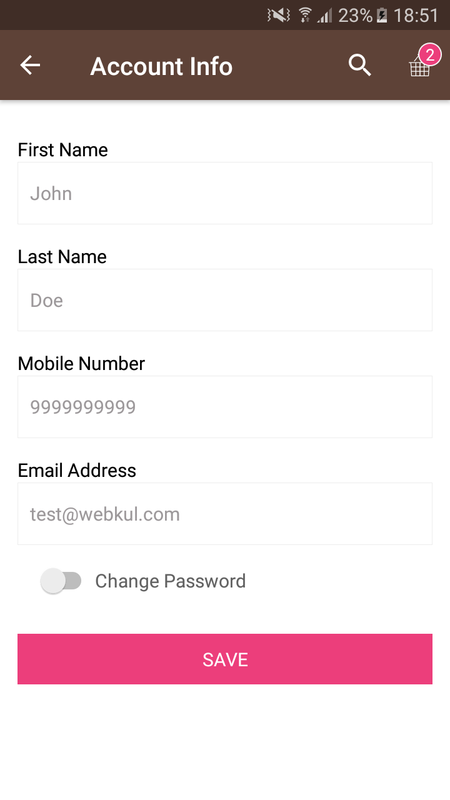 NOTE: Our Mobikul Mobile App Marketplace Add-On is fully compatible with our Magento Marketplace Multi-Vendor Module. 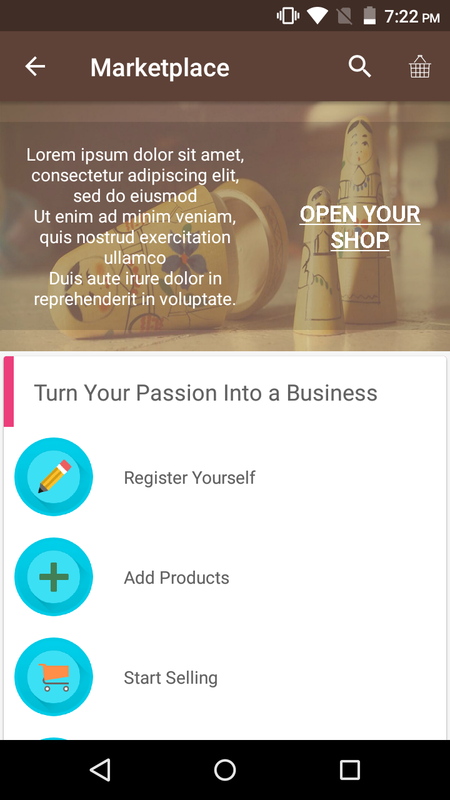 To use this Mobile App, you must have installed Magento Marketplace Multi-Vendor Module. The seller can chat with the admin. 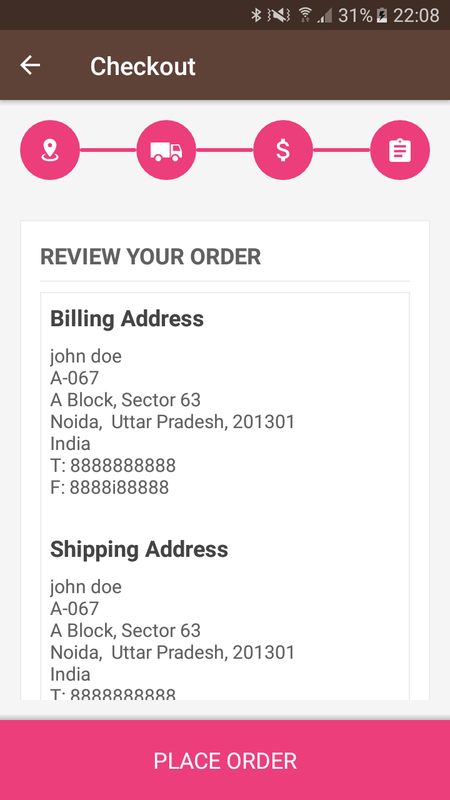 Order Tracking by Notification (*)The features with Asterix mark (*) are the paid features. 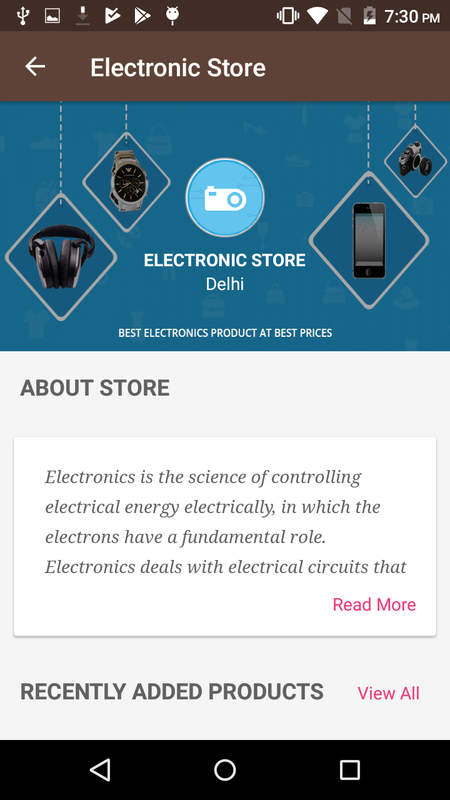 At front page, you have a beautiful look of the mobile app. 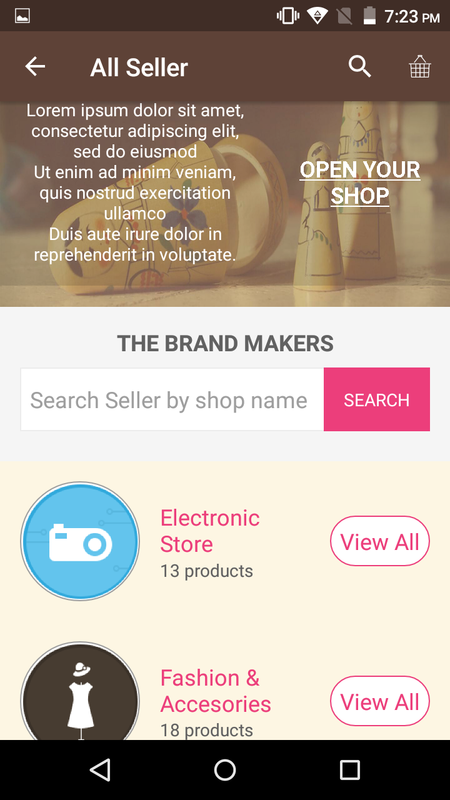 At the top of the page, you can view the categories of the product. After that, you can see the sliders of the store. 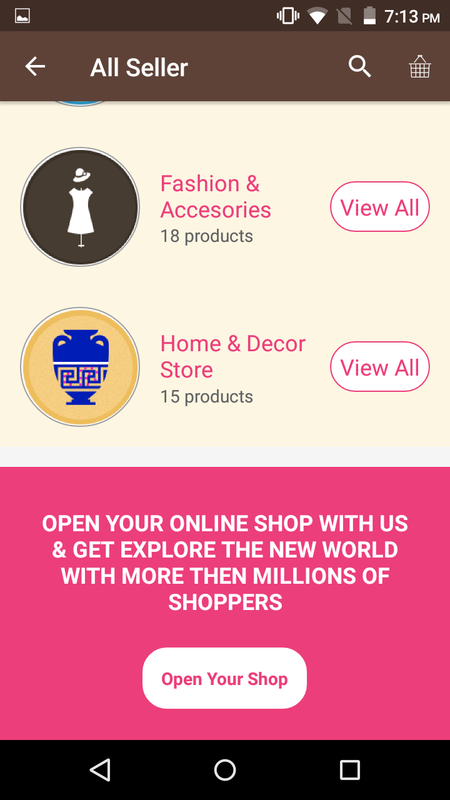 You can see featured product carousel, new product carousel, and the hot deals. 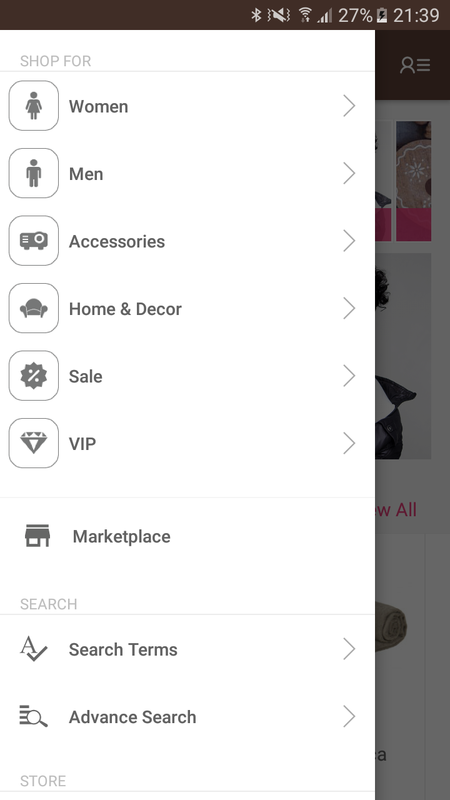 Under the left navigation drawer, you can see the categories view, marketplace link, store and the CMS pages. 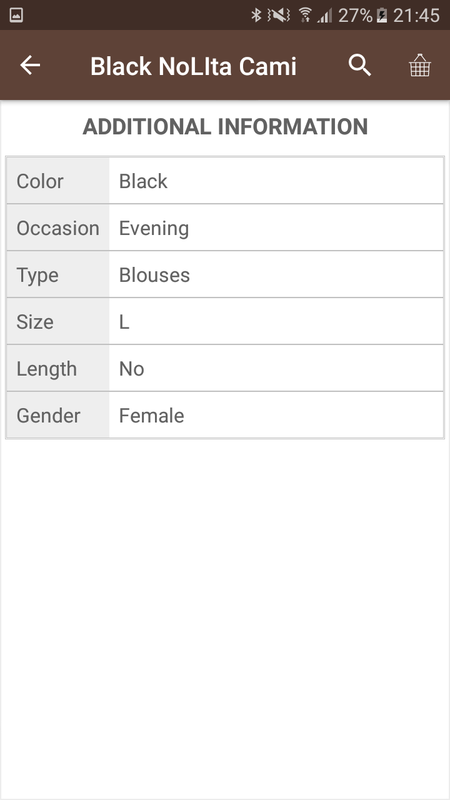 Under the left navigation drawer, the customer can see all the categories and subcategories of the store. 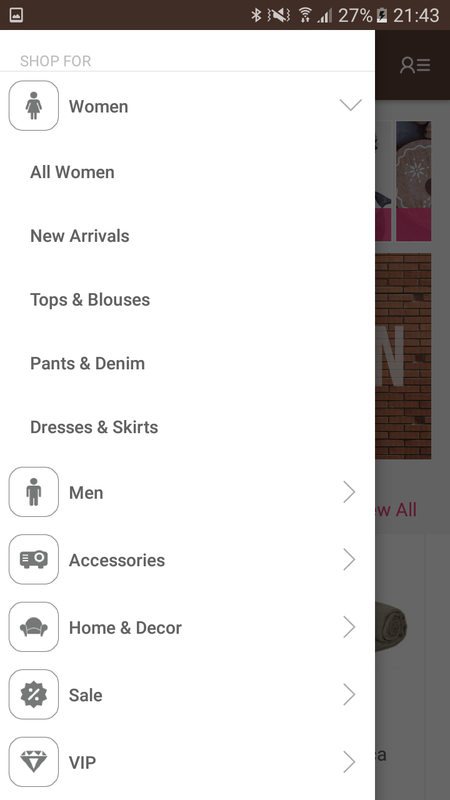 After clicking on the category, the customer will go directly to the category page. 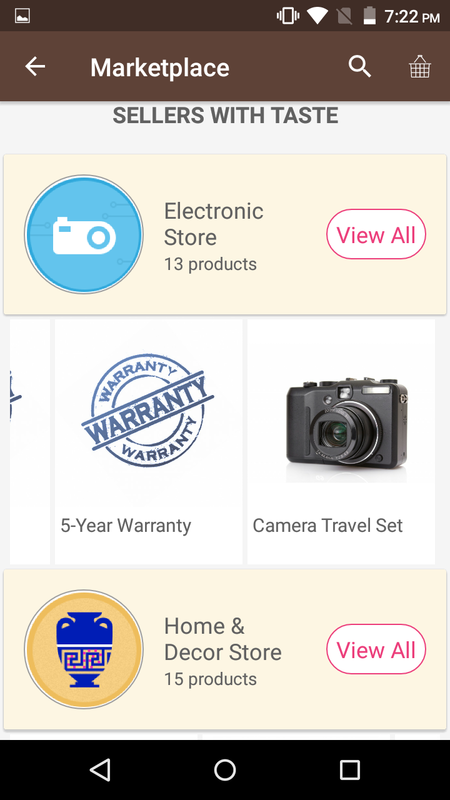 Where the customer can see the category banner and the products of the category. 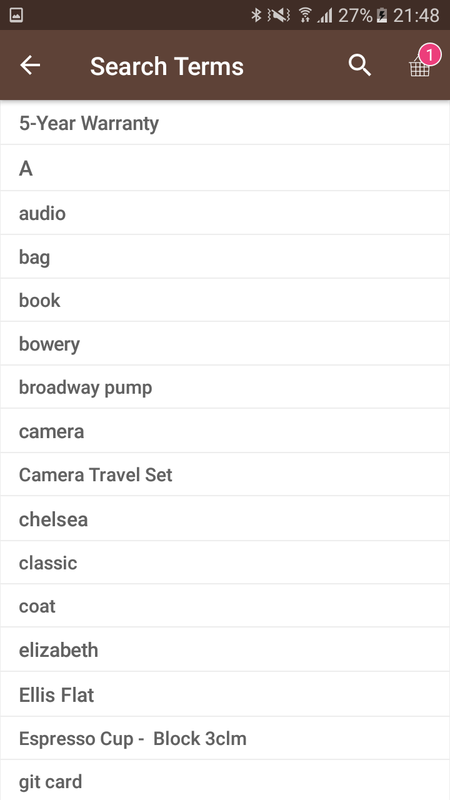 Searched terms are the most searches on the store. The customer can see the search terms under the left navigation drawer. The customer can find the advance search link in the left drawer. 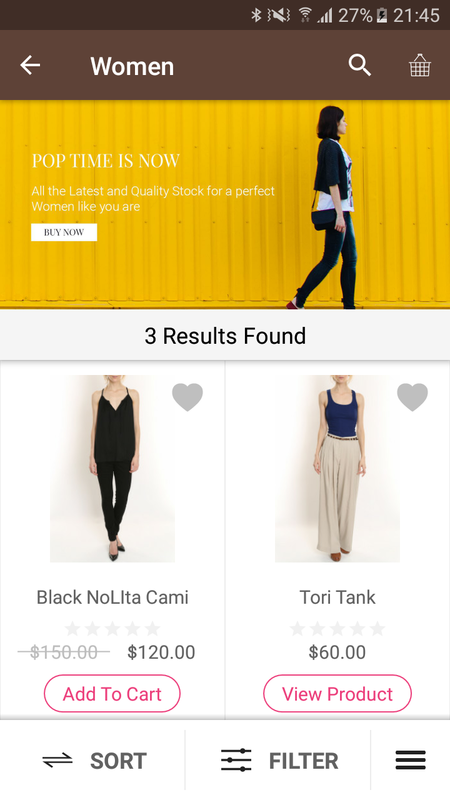 The customer can find the right product with the help of advance search. 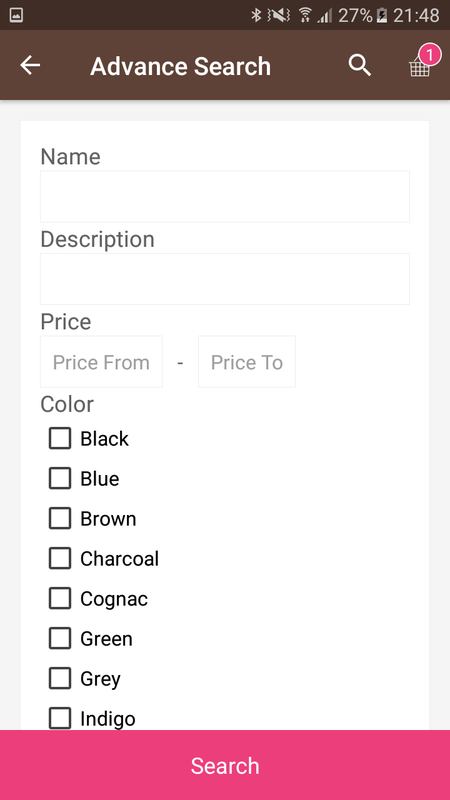 Customers can search the via attributes like price range, size, color etc. 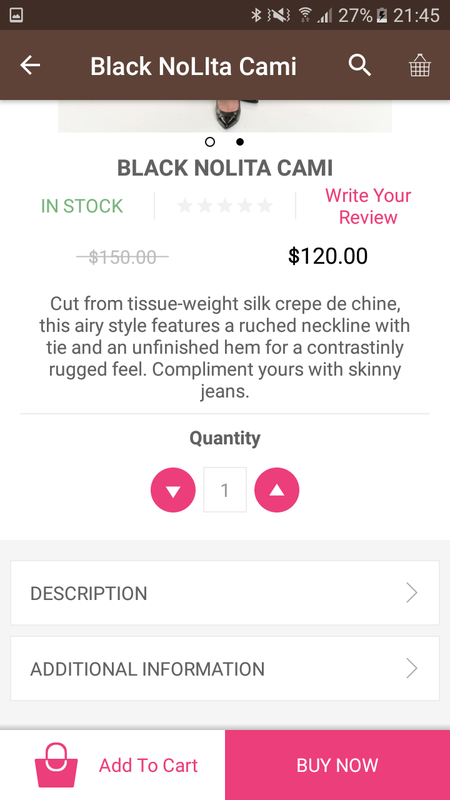 Product image, title, description, additional information, price, add to cart button and buy now button will appear on the product page. 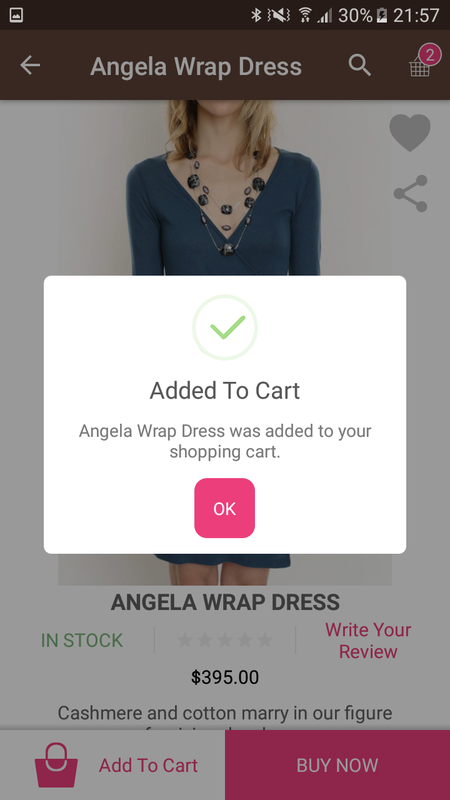 The customer can add the product to their cart. 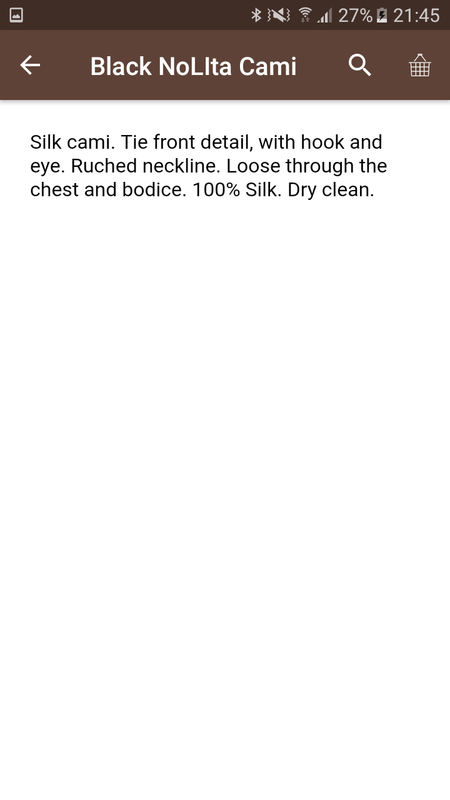 At My Bag page, the customer will find the product added to the cart. 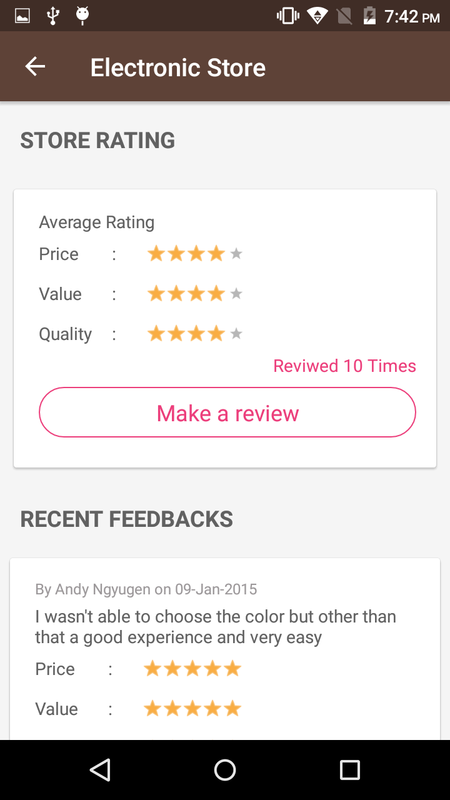 The customer can also update the quantity of the product from my bag page. 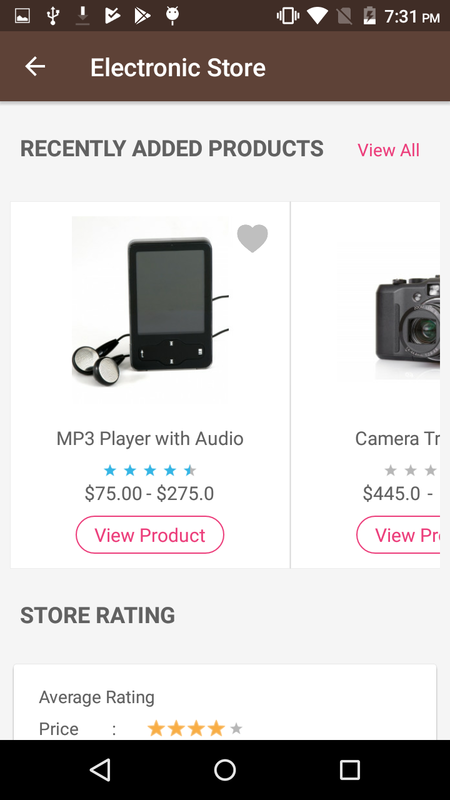 At the product page, the customer will find the wishlist icon and share icon. The customer can share the link of the product to many places like email, Bluetooth. 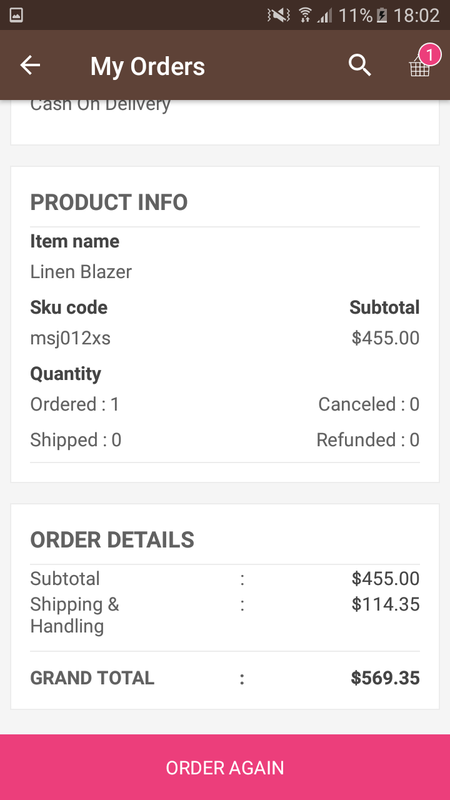 After clicking on buy now button, the customer can see the checkout page. 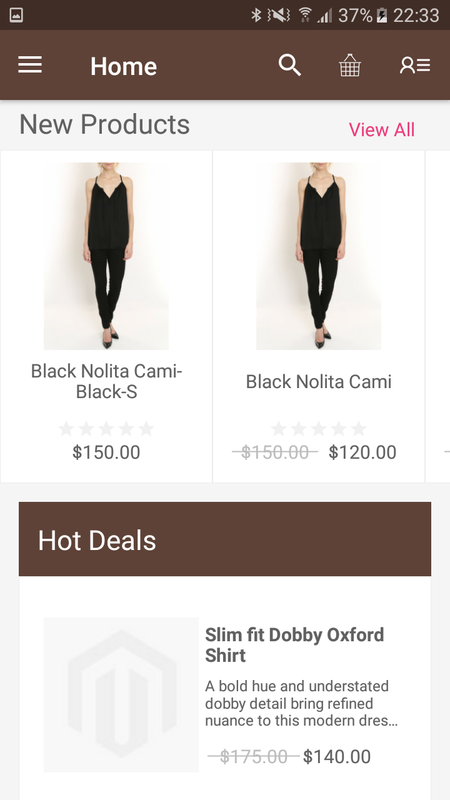 Where the customer can continue their shopping, update shopping cart, and can apply discount code. 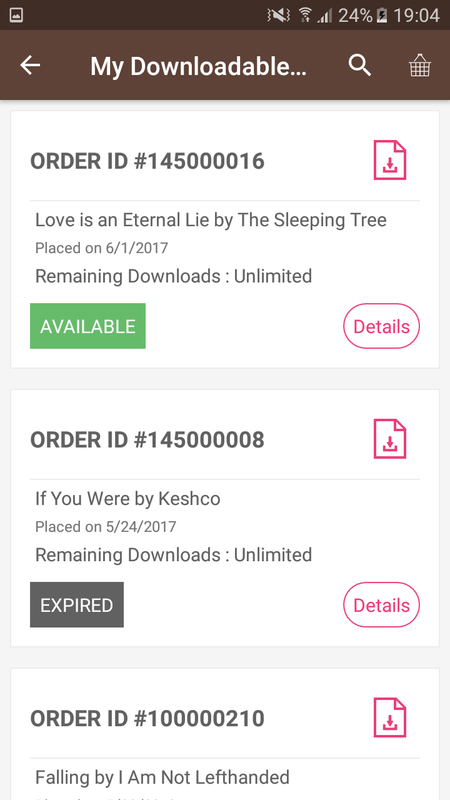 The customer will find a button “Process To Checkout”. 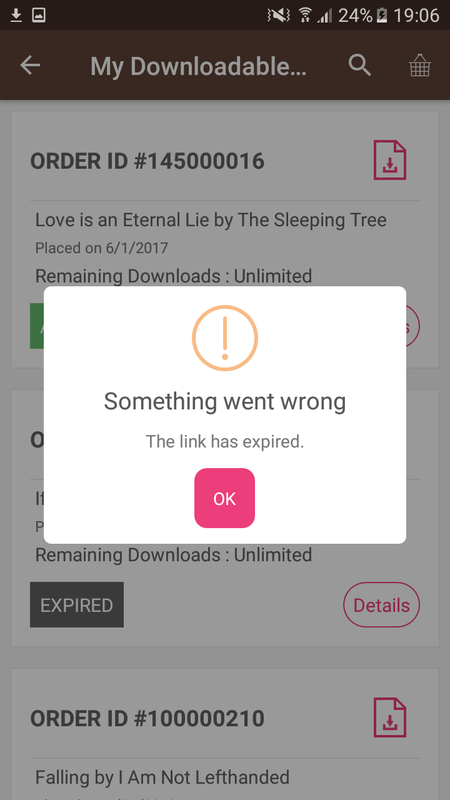 After clicking on it, proceed with the checkout process. 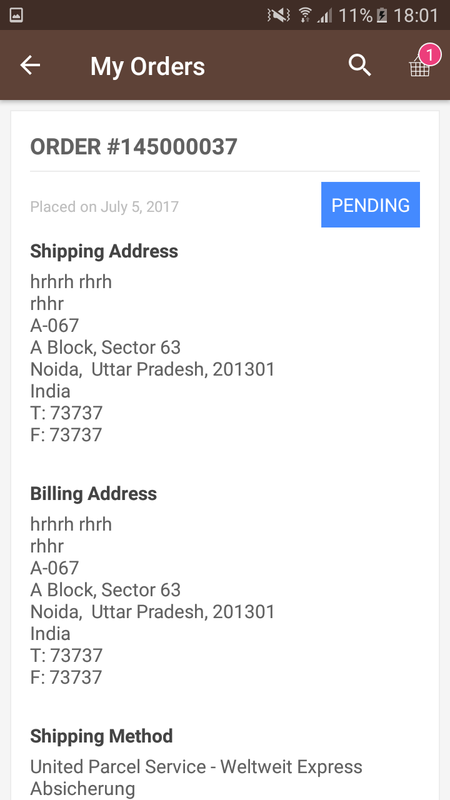 Here you can see your addresses, recent orders, profile image and the recent reviews for the products. 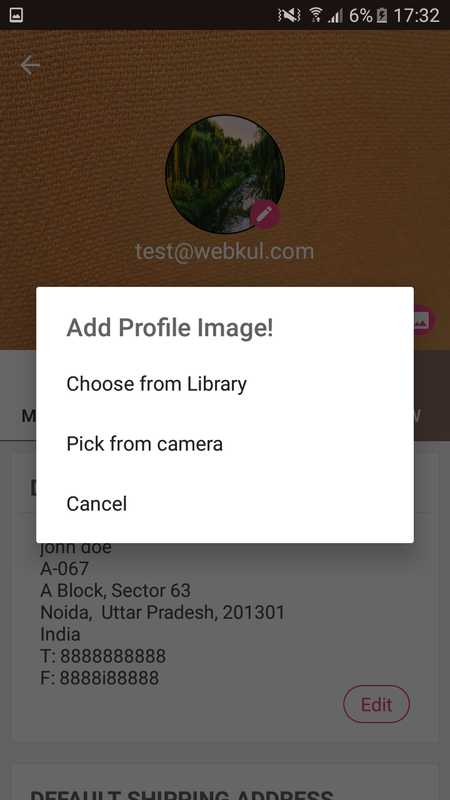 The customer can change the profile and banner image. 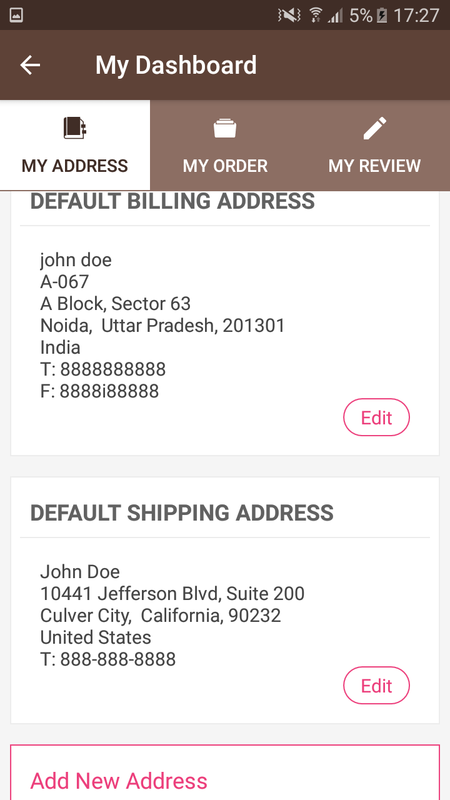 You can add additional addresses as per your requirement. 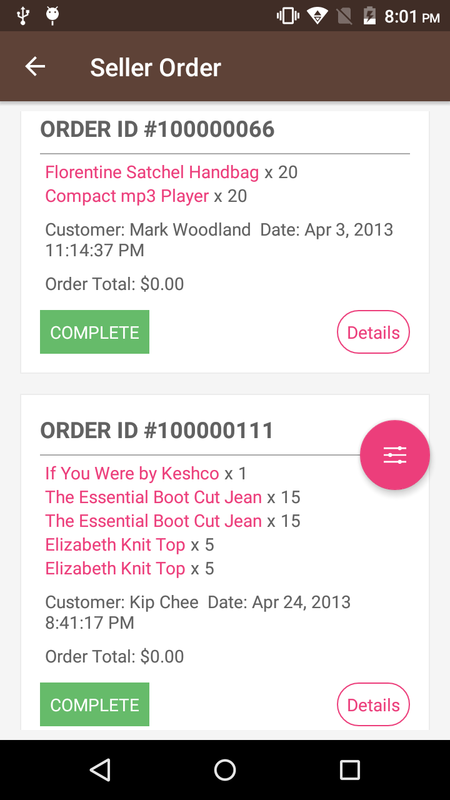 This section consists of all the orders that the customer has ordered. 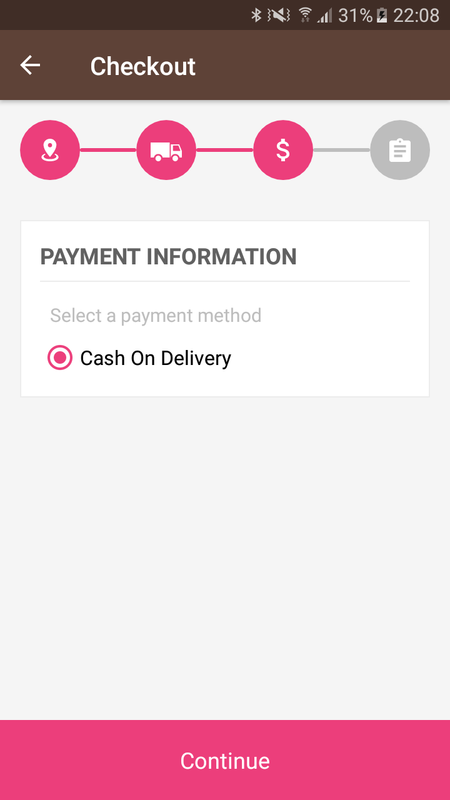 You can check the details of each order by clicking on the view icon. 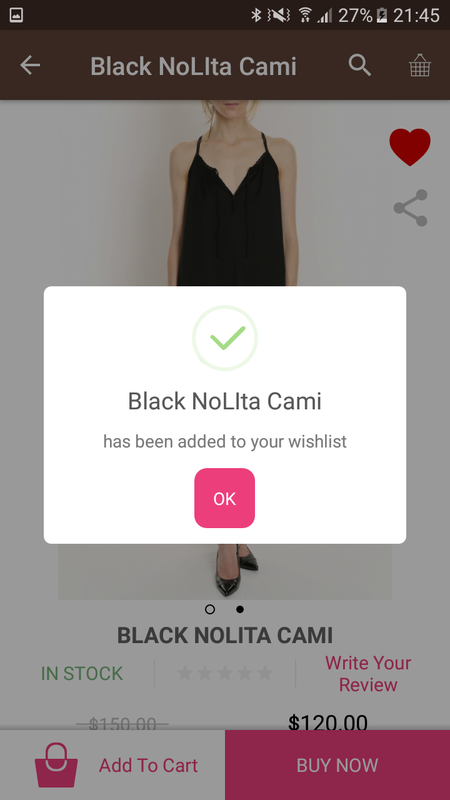 At the end of order details, you can see an Order Again button which can be used to reorder your product. 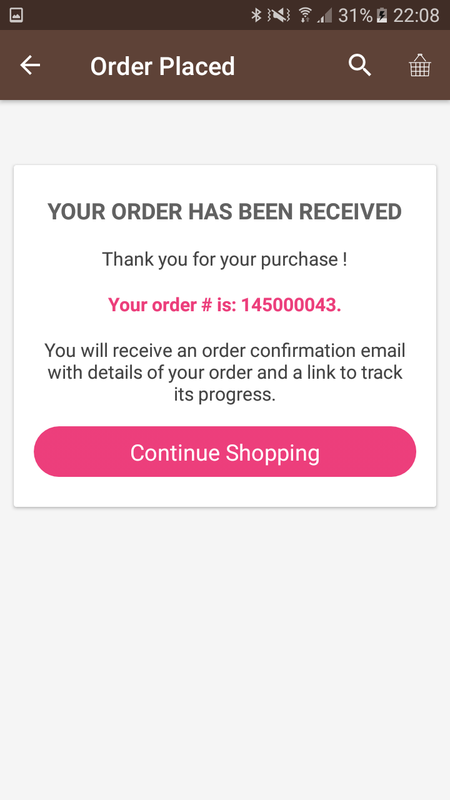 The customer can order the same product from my order page. 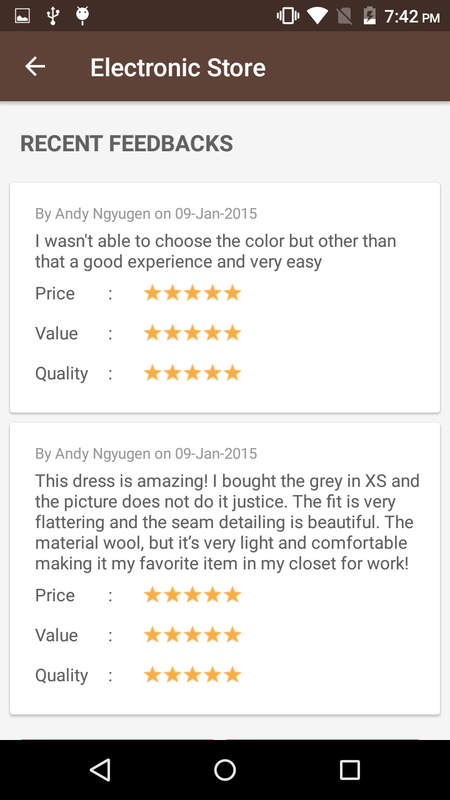 Customers can find their product reviews here that you have submitted for the products. 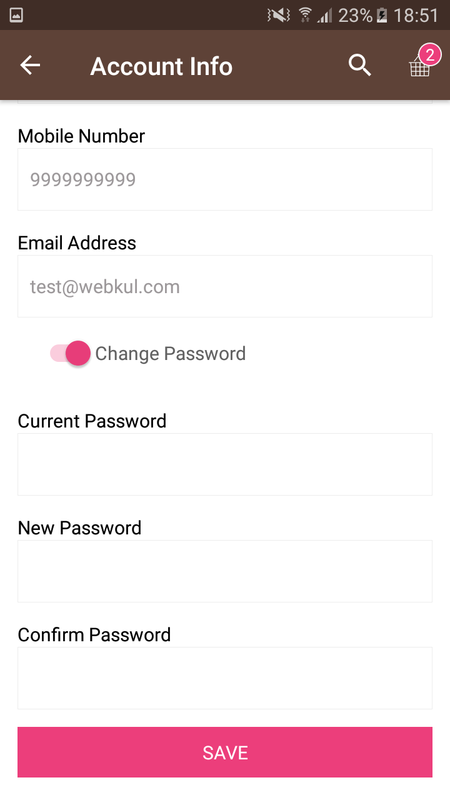 Customers can edit their account information here and can change the First name, Last name, E-mail address and password in this section as shown below. 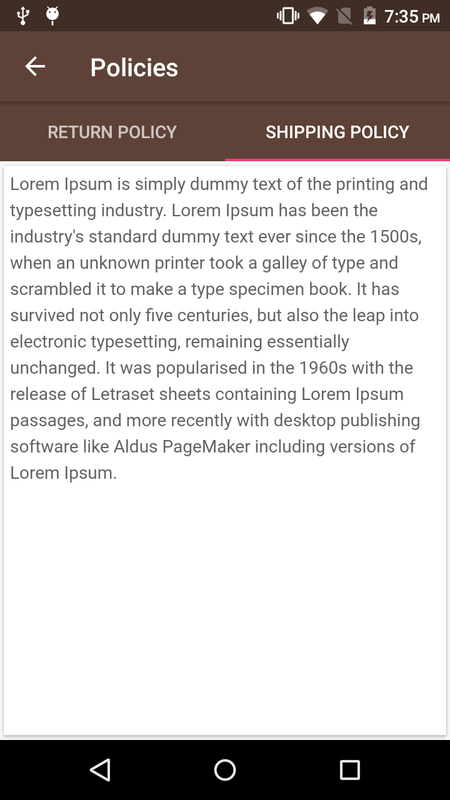 This section shows information about the sellers & their products that have been added to the Marketplace. 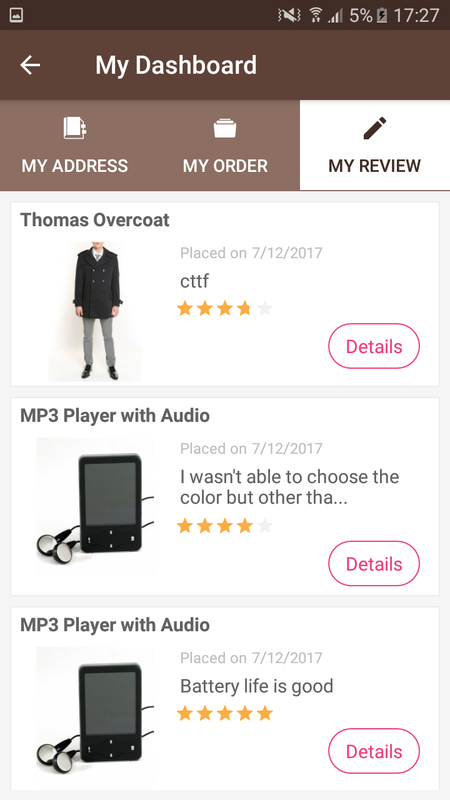 Here a customer can check the seller collection, add any of the seller’s products to his wish list or add them to cart for purchasing. 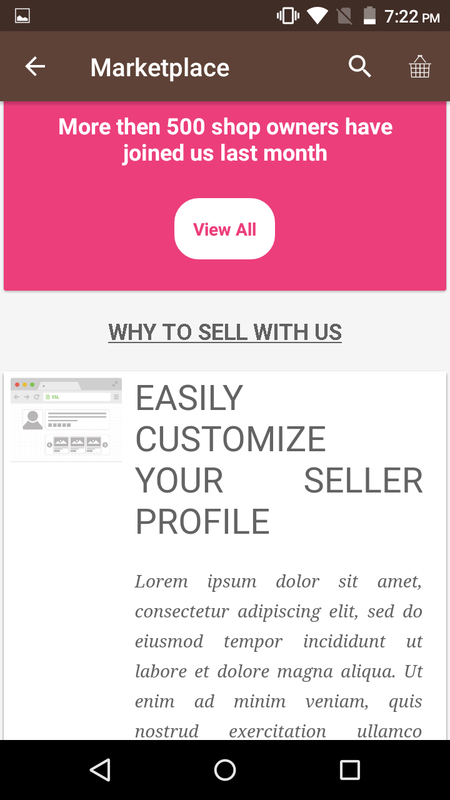 By clicking on the View all sellers you will be able to see a list of all available sellers in the marketplace. 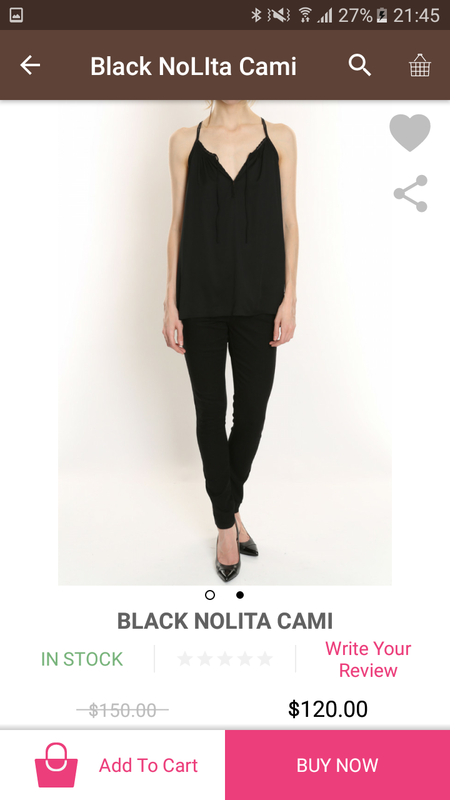 You can search the sellers by shop name as well. 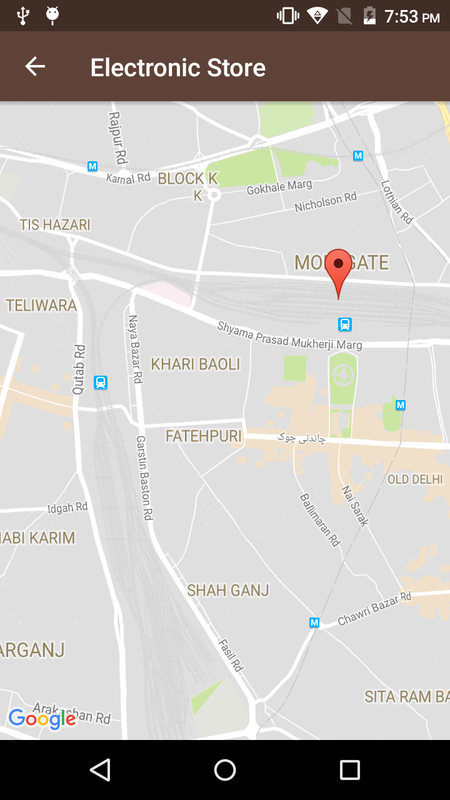 To know more about a seller you can check their profile page by clicking their store name. 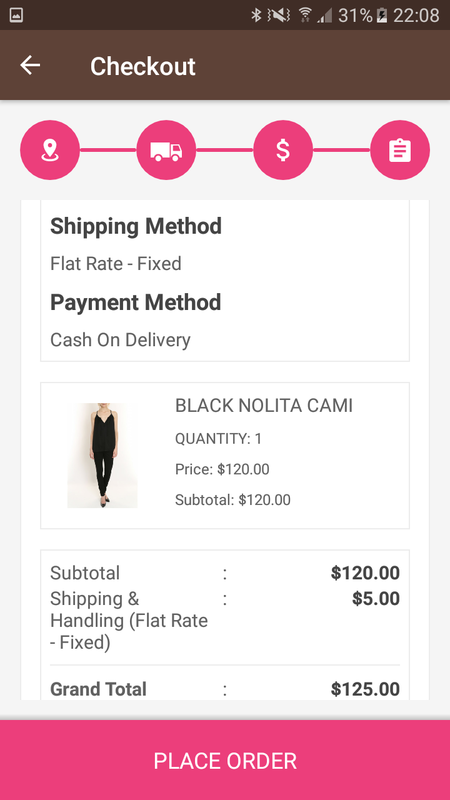 After clicking on the shop name you will be able to see the Profile Page, Policies(Shipping & Return. 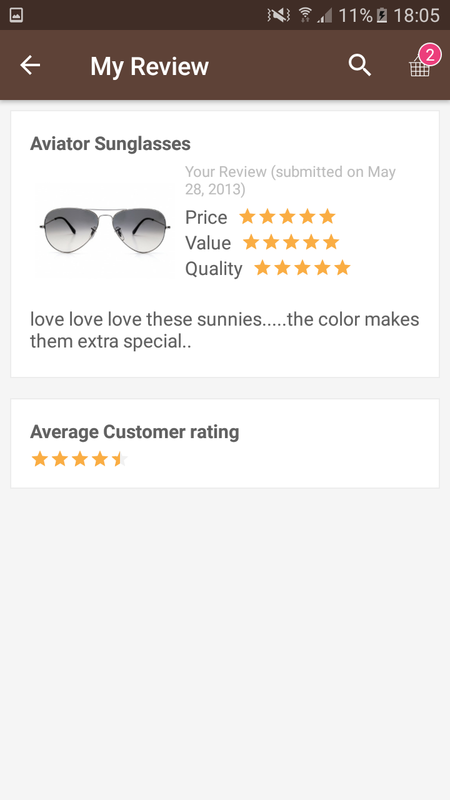 ), Ratings and the Feedback for the Shop name. 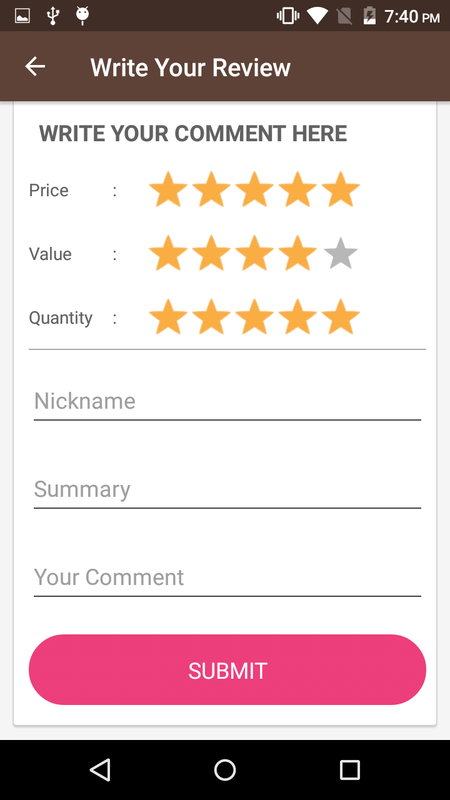 Customers can check the seller profile page from here & see the recently added or can click the view all option for checking all the products of the seller. 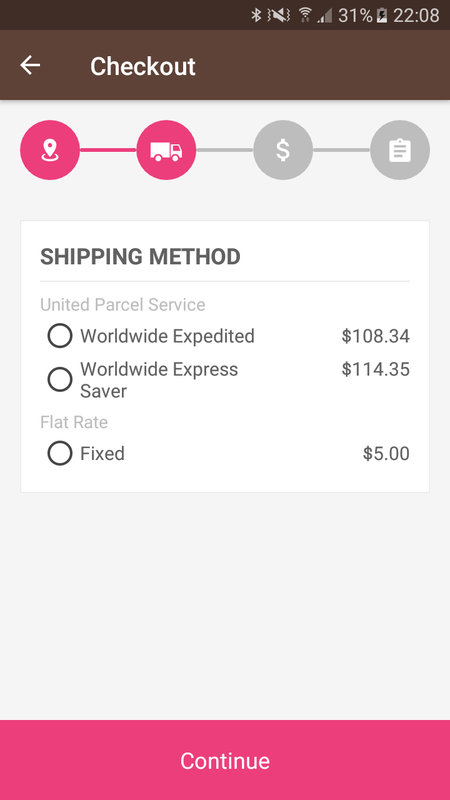 You can check the different policies like the shipping and return policy of the seller in this section. 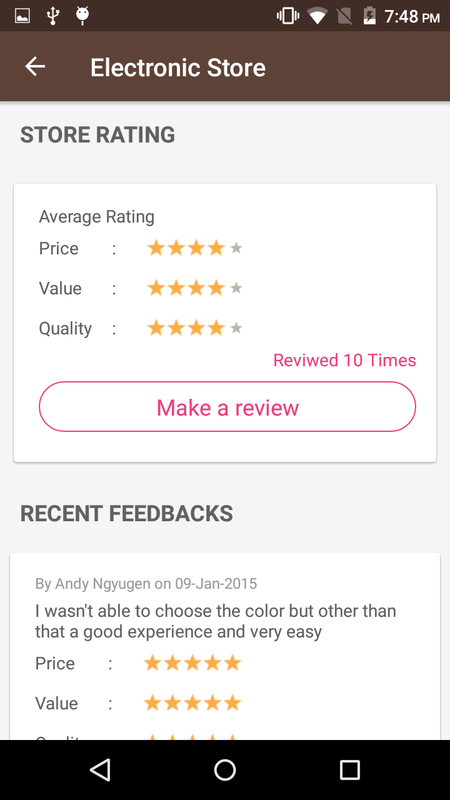 Here customers can give ratings to the seller store that will be displayed on the seller profile page. 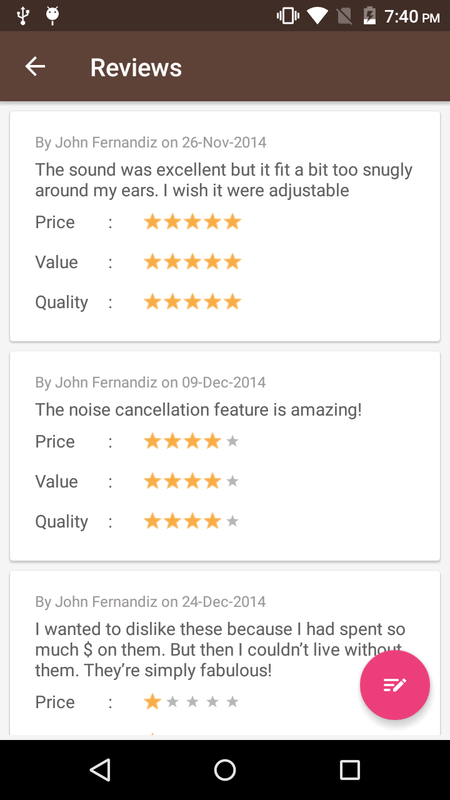 Here sellers can see the feedback that has been written by customers for his shop. 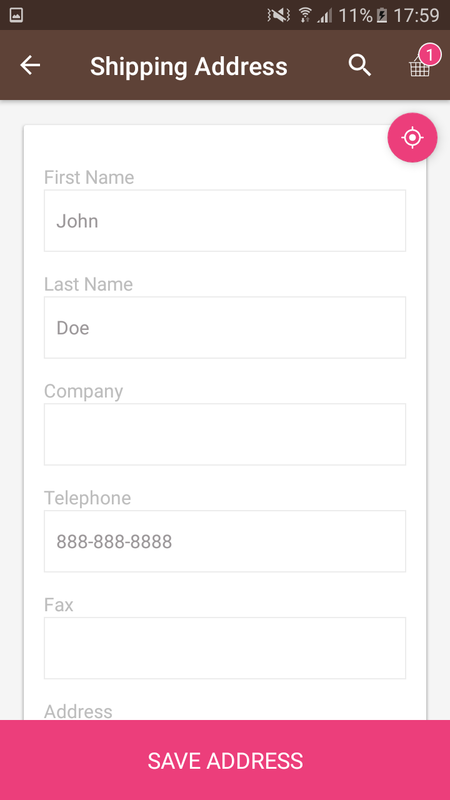 The customer can contact the seller by filling some details. The seller will receive an email after submitting the form. 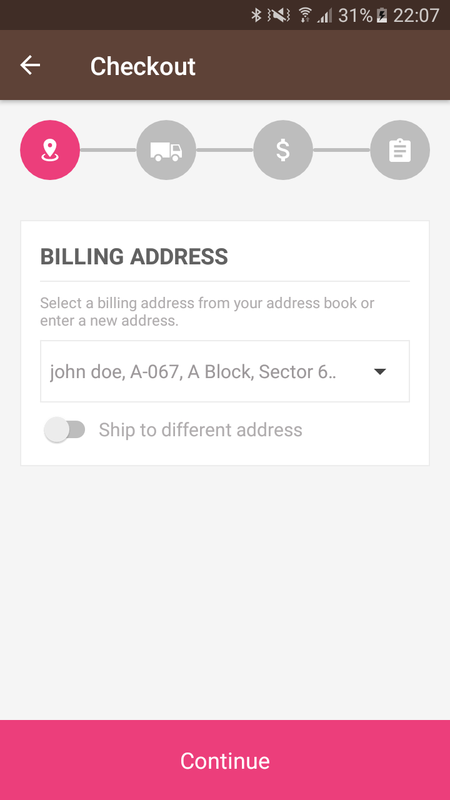 The customer can see the address of the seller in the app through the Google app. 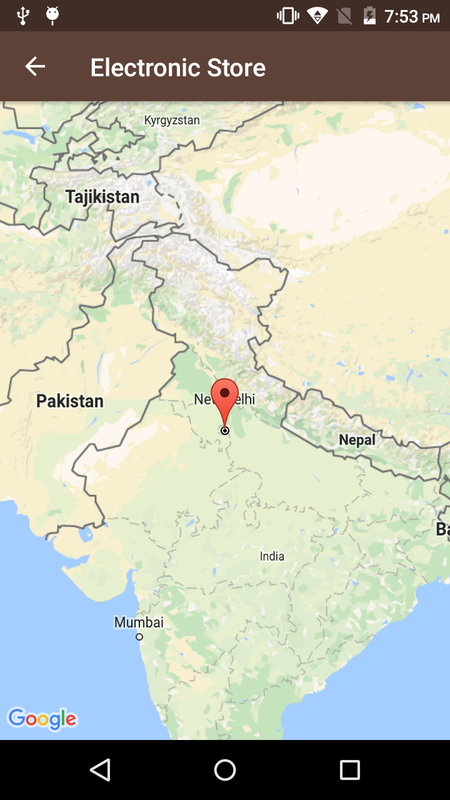 The customer can view the large map for locating the seller. 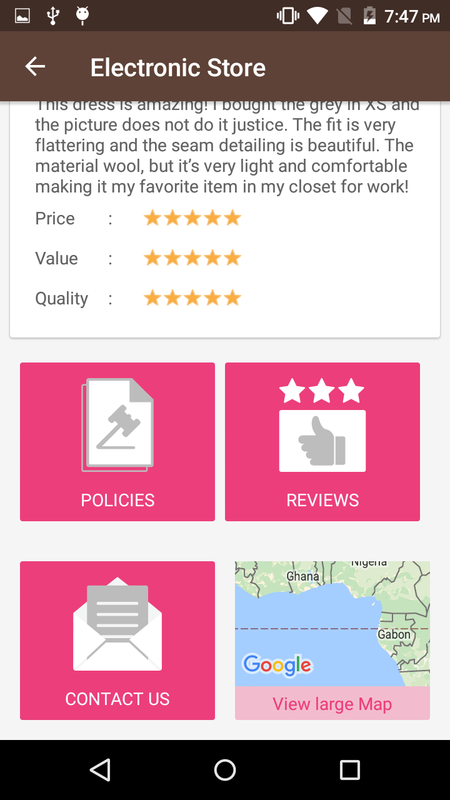 This section displays the seller dashboard which provides quick insights on seller’s Analytic’s, inventory, latest orders & reviews on the go. 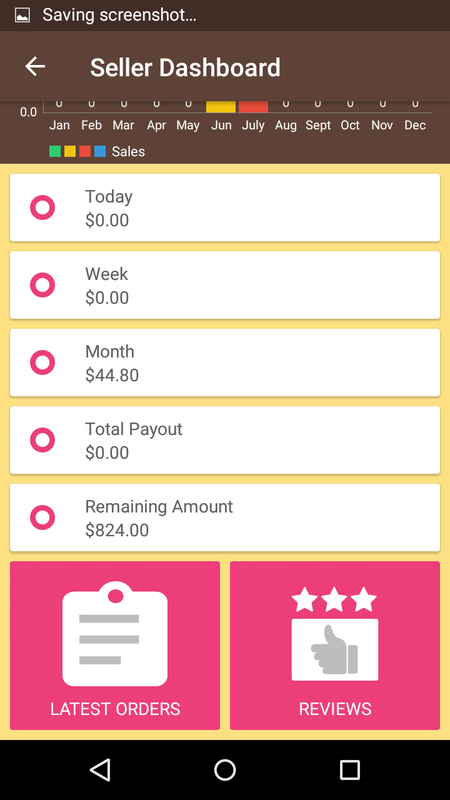 Sales Analytics provide vital information to the sellers like -today’s income, weekly income, monthly income, total payout, remaining amount & total profit. 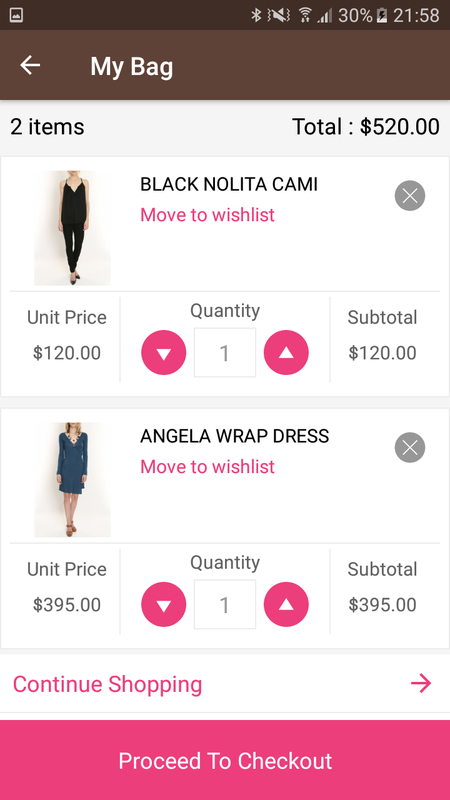 Sellers will be able to check their latest orders and generate invoices, send emails to customers and cancel the orders from their dashboard. This page gives a brief overview of seller’s sales analytics like – Today’s Income, Weekly Income, Monthly Income, total payout & remaining amount. 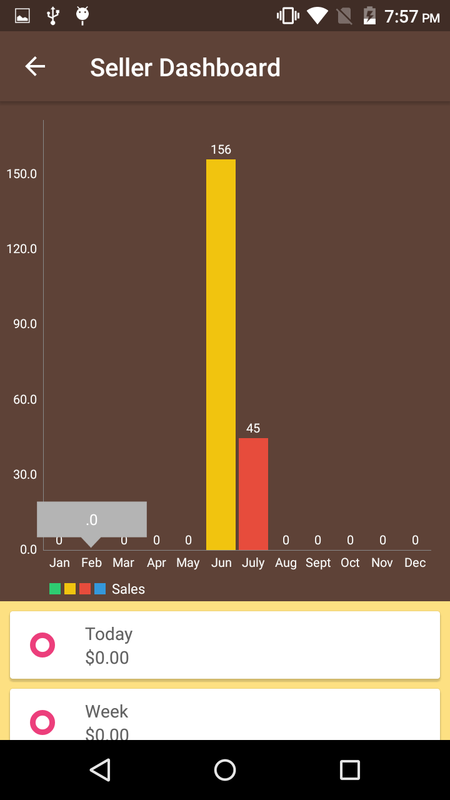 Sellers can see a graph that describes the sales. 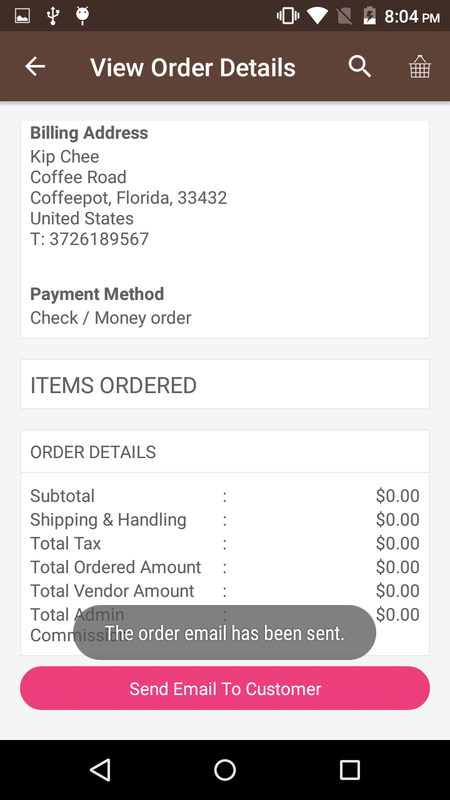 The seller can easily check and manage their orders on the go by using this mobile application, as this will give an area in the seller panel to view and manage their orders in a very efficient way. 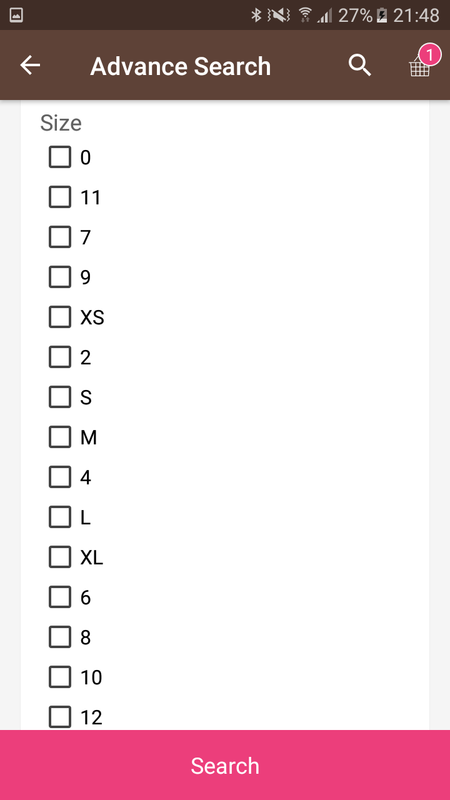 This section has the list of all the orders that have been placed by the different customers. 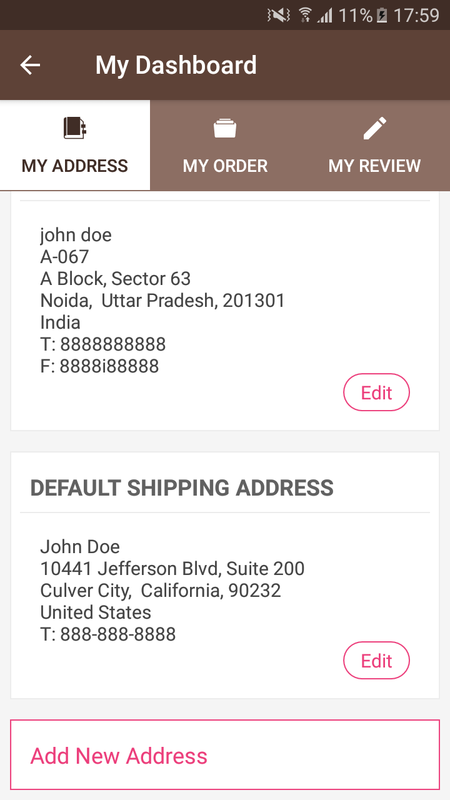 The seller can view any order and can see different information related to the order like Buyer information, Shipping address, Shipping information, Billing address, Payment method, Item ordered with details about the Price, Status, admin Commission and Vendor total. 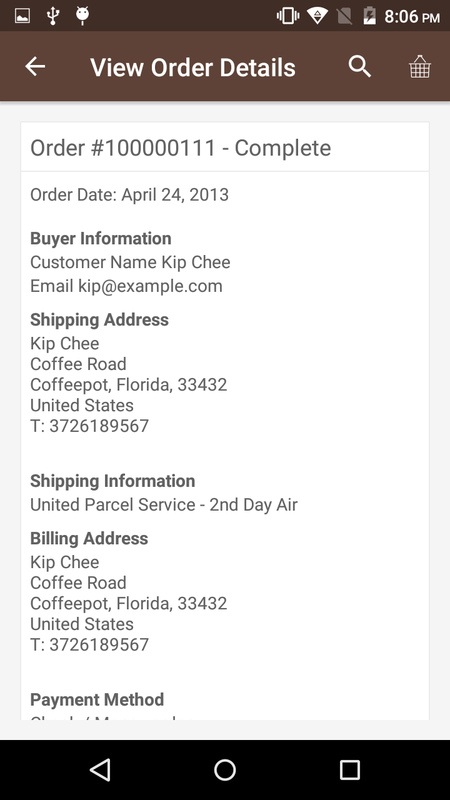 Sellers can generate the invoice for their orders, cancel the orders and send the email notification to the customers. 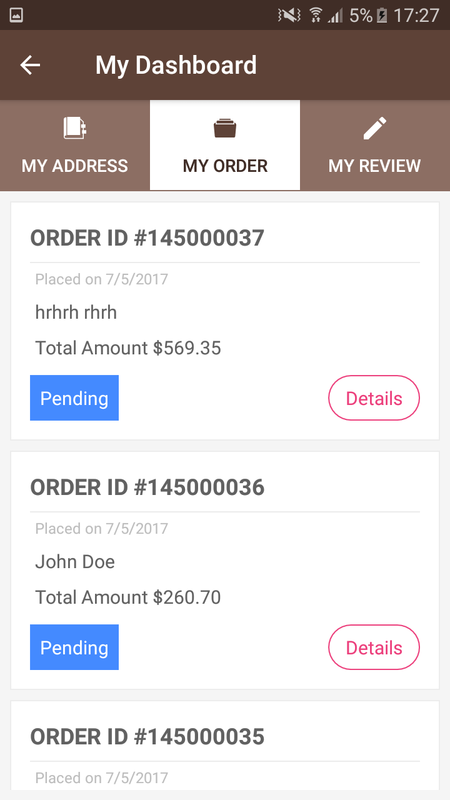 The seller will be able to see and manage their latest orders from here by generating the invoice, sending the email notification to the customer. 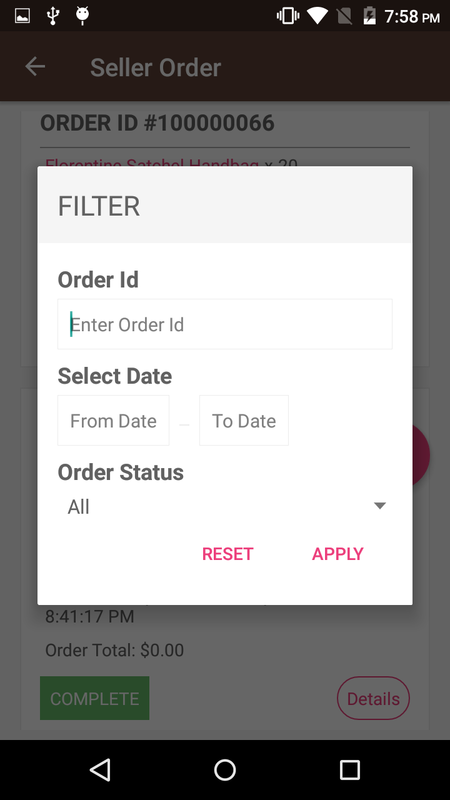 Sellers can filter their orders according to the order id, date and the status of the order. The seller can also send an email to customer for the order. 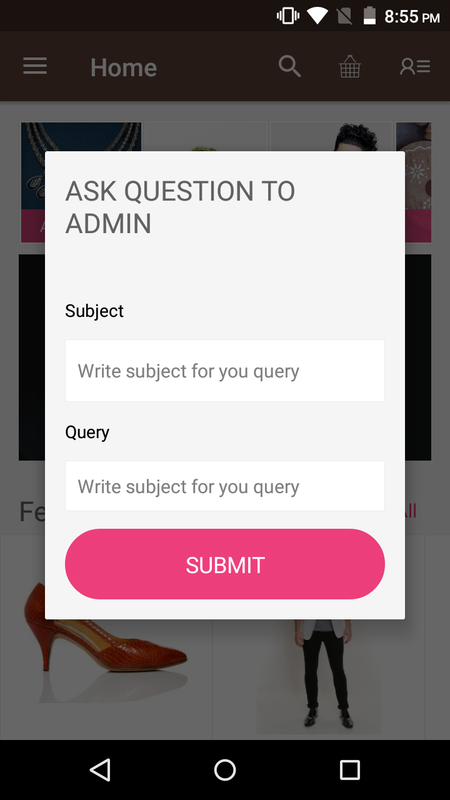 Here you can ask the question to the admin. 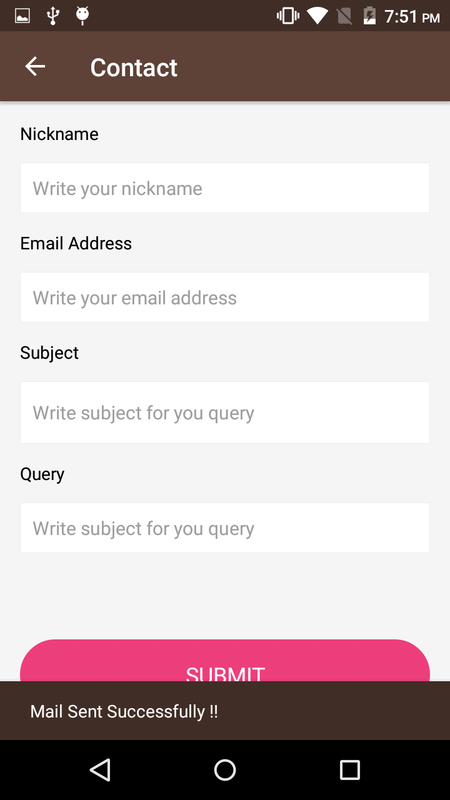 If you have any query or doubt you can ask by typing in your name, email address, subject and the query and then click Submit. 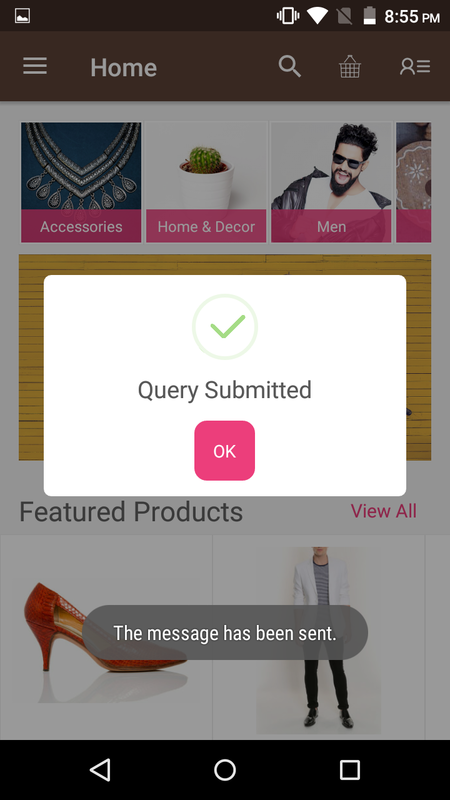 After submit, the customer will get a popup “Query Submitted”. That’s all for the Magento Mobikul Marketplace. Still, have any issue feel free to add a ticket and let us know your views to make the module better webkul.uvdesk.com.